The Salão Duas Rodas event in São Paulo, Brazil is just massive. With around 240,000 visitors over six days of exhibition, 200 journalists, hundreds of trade stands, entertainment, shows, demonstrations and test rides, it’s really very huge and an annual must for motorcycle fans in the Latin America region. 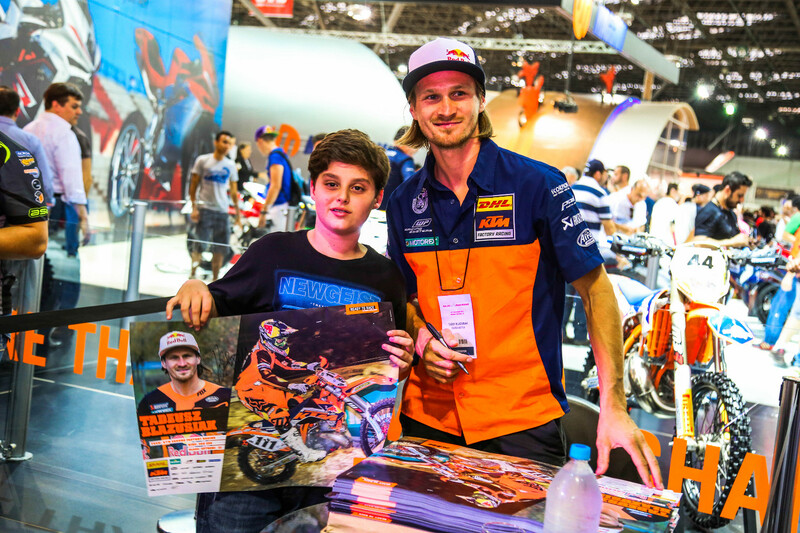 This year the orange injection happened in a big way, and it was received with open arms from KTM’s allegiance of fans along with many motorcycle enthusiasts. 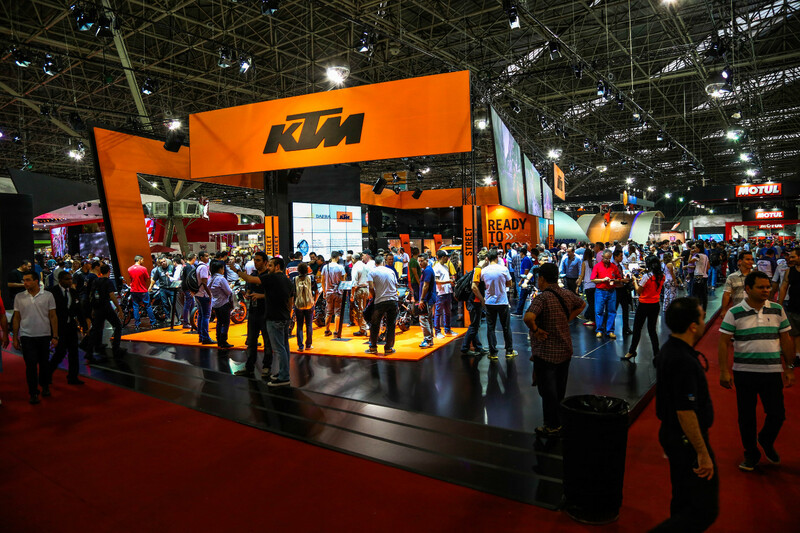 A massive booth with the wide range of KTM motorcycles on show, along with some PowerWear and PowerParts, really delivered to the Brazilian motorcycle community something special and a clear message. But, actually, perhaps the stars of the show along with the bikes themselves were some of the finest factory riders on the planet who came to the event, both of whom have tackled some of the toughest terrain imaginable, and that was multi-time EnduroCross champion, Extreme Enduro event winner, X-Games gold medal winner Taddy Blazusiak, and rising Extreme Enduro star Jonny Walker. 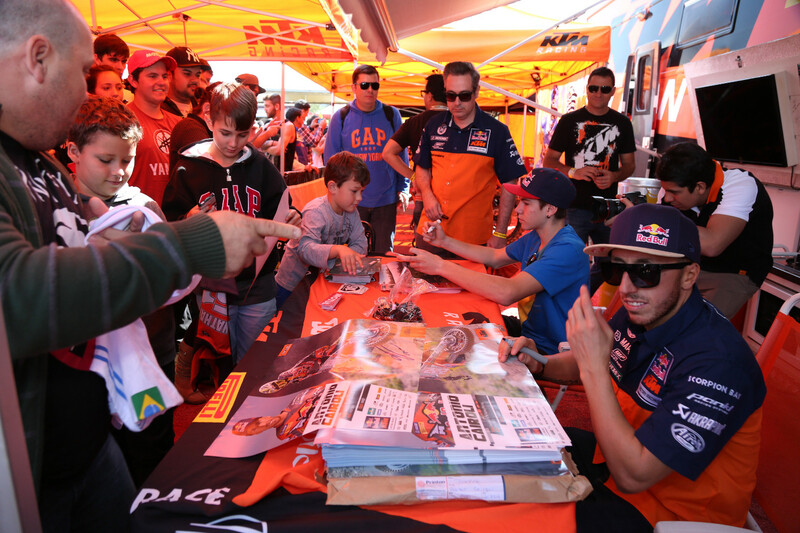 “Enduro is big over there, I’ve got a lot of Facebook followers from that region, so it was good to go and meet up with the fans and give something back. The show was really big, but I didn’t get a great deal of time to see much of it because we were pretty busy for our short time there with our signings and so on. We also went to a KTM dealership, which was pretty cool too. 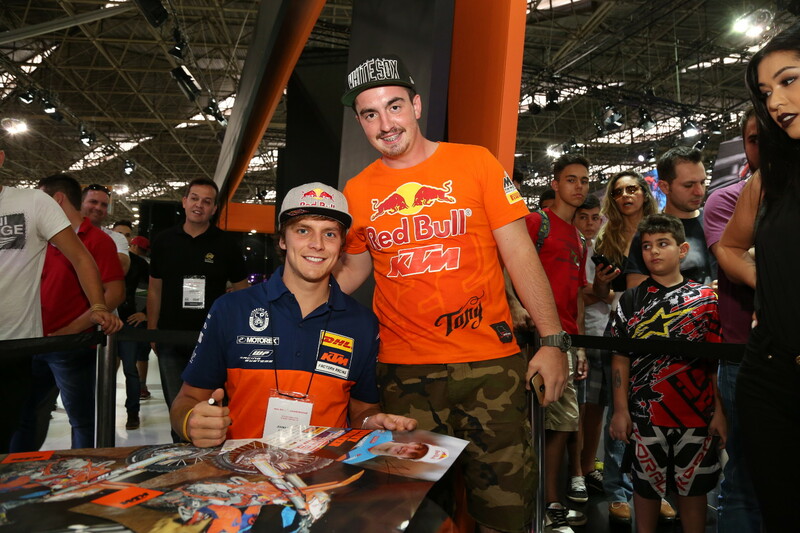 It was great to be able to support KTM Brazil, especially as I know it was a really big thing for the brand, and I look forward to seeing all the fans again when we next race there,” concluded the British-ace. Rok Bagoroš was putting on some amazing displays throughout the week, but it was also a celebration of national talent with Brazilian KTM riders being heavily involved in the event, which also gave the opportunity for fans to take test rides on the production model street bikes, when the announcement was made that eight-time World Champion Red Bull KTM factory-ace Tony Cairoli would fly to São Paulo to race at the Brazilian National Motocross Championship just after the motorcycle show. 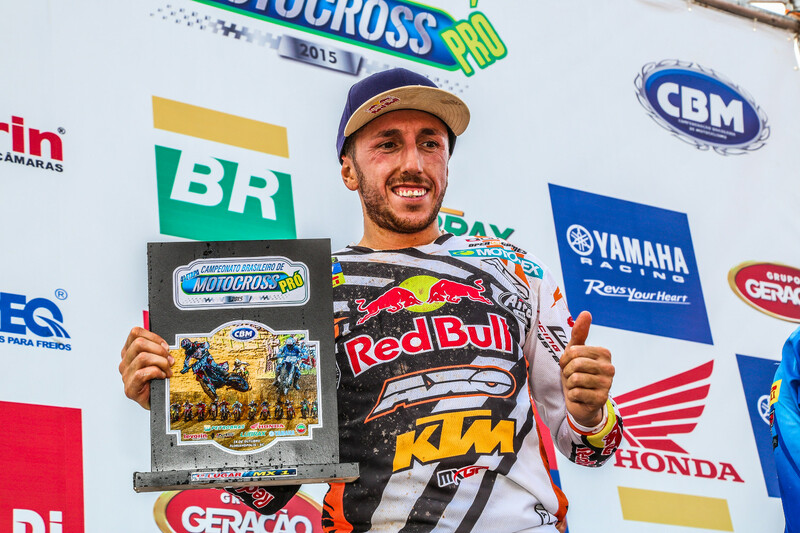 This was truly something special for the emphatic Brazilian fans, and also for the national riders to race against one of the world’s greatest motocross legends, and a KTM factory rider in their own series. 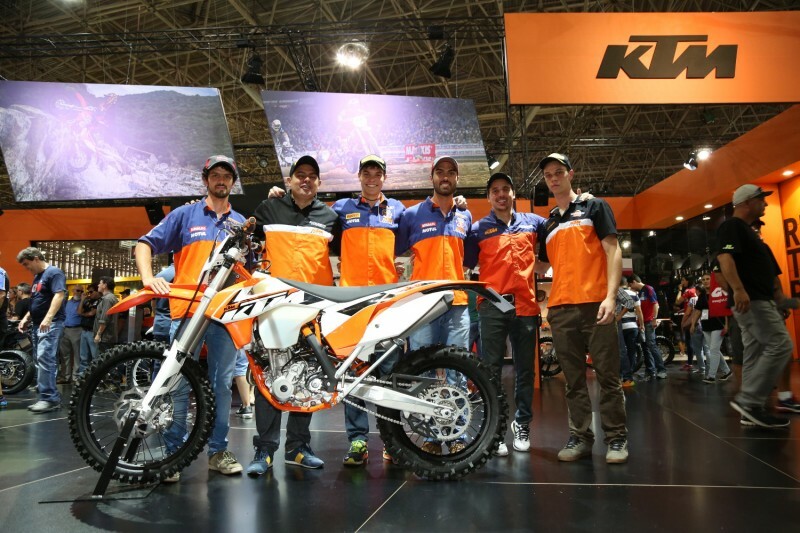 Paulo Alegria, Managing Director of KTM Brazil, described it as something to give back to the Brazilian Motocross community, and something special for them to remember. He also believes having factory riders at both events made a clear statement of KTM’s core values and indicated its importance as the brand is introduced in Brazil. “The importance of having factory riders in Brazil is huge as we are introducing the brand into the country, so, there is massive communication around our core values as a brand, together with the heavy involvement of KTM in racing worldwide, which delivers our promise to be a READY TO RACE brand,” said Alegria. “The fact that we could bring Tony for an MX race in the Brazilian National Championship is in fact a strong statement from KTM that in Brazil will not be different and the brand is strongly committed with the Brazilian market. 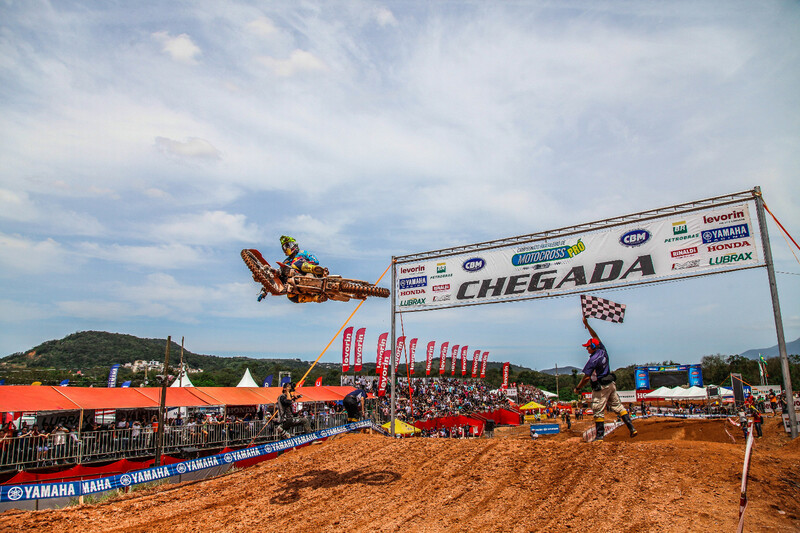 It was also our contribution for everyone involved in MX in particular but also for all other offroad motorcycle activities, such as Enduro, as by having such a star as Tony among us not only showing himself but competing together with Brazilian riders and teams is something to remember and I´m sure all riders liked it a lot. It is also a golden opportunity to call the attention of all current and possible sponsors with an extra motivation for them to support the sport, to catch the attention of younger people to be involved with motorcycles in general and to create more noise in media and social media around KTM brand,” continued Alegria. Around a track that was instantly recognizable with the trademark red terrain we’ve come to associate with Brazil, Tony took a whirlwind 1-1 and his army of Brazilian fans were not disappointed. It was a truly special week for KTM in the region and one that will certainly be remembered! “To race in Brazil again was really nice. In this national race there was a good level, probably higher than I expected, and I had a lot of fun competing against the local riders. The conditions of the track were a bit tricky because of the mud, and this made my victory a bit more difficult, but the main thing is that it was nice to race in a country that I really love. In Brazil I have a lot of fans and I received a very warm welcome both on the track and on social media, where they sent me thousands of nice messages. 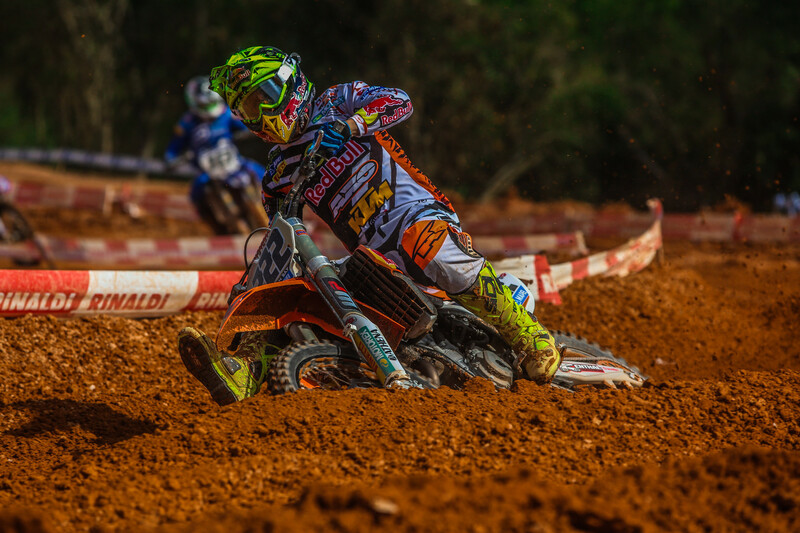 I’m very happy about this and it was good to be there,” said Red Bull KTM factory rider Tony Cairoli.